Turkish Hostel is located at the very heart of Istanbul. Overlooking on the one hand the old İstanbul which includes areas of Sultanahmet and on the other it is just a few minutes walk from the Bosphorus and the most popular avenue, Taksim/İstiklal Street. Our hostel is only 3 minutes walk to the Tophane train station which takes you right to the main sites like the Hagia Sophia, Blue Mosque, Hippodrome, Topkapı Palace and Grand Bazaar in 10 minutes. Turkish Hostel offers 50 rooms with the options of single, double, triple, quad and multiple bedded (dorms) rooms. Rooms are available with private or shared bathrooms. At the entrance of the hostel, there is a large Cafeteria that offers a selection of healthy and delicious Turkish foods. 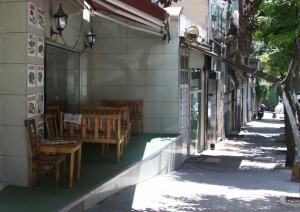 Our Cafeteria also serves Turkish tea, coffee and cold drinks as well as nargile (hubbly bubbly). Billiard Room is a perfect venue to spend a relaxing evening. Our Hostel also offers facilities like table tennis and backgammon. 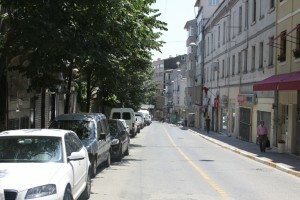 Turkish Hostel serves as a hostel and a student dormitory. Considering its location and the facilities it offers, it is an excellent accomodation option for students, tourists and visitors. Since the hostel operating as a student dormitory, we have all the certifcates from the Turkish Ministery of Education which guarantee that you will stay in a secure and clean place with the services of a professional crew. Our information desk will offer you city maps for free and all the information you need about Istanbul & Turkey. We look forward to welcoming you soon in İstanbul.